Japanese Prime Minister Shinzo Abe responded to Donald Trump’s threat to ship 25 million Mexicans to Japan saying the country doesn’t need more English teachers. 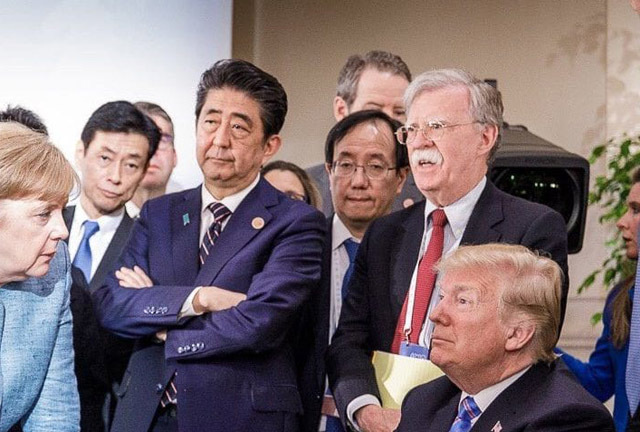 “Shinzo, you don’t have this problem, but I can send you 25 million Mexicans and you’ll be out of office very soon,” Trump tweeted to Abe during last week’s G7 summit in Canada. “We thank you very much for your kind offer from the bottom of our hearts,” Abe told Trump from across the round table. Trump was surprised to learn the so-called fact that Mexicans speak Spanish was actually fake news.